Subverting racial labels is not the same as subverting racism. Eric Liu, "Blood Simple: The politics of miscegenation," Slate Magazine, August 22, 1996. http://www.slate.com/id/2398/. So after a pregnant silence, she told me the story of how she met somebody just before she met the man I thought was my dad. Comments Off on So after a pregnant silence, she told me the story of how she met somebody just before she met the man I thought was my dad. Found photographs have long been important to artists like Lee. Photos taken by amateurs can sometimes acquire new value on account of their uniqueness, their age or simply the knowledge that they were once meaningful to a stranger. As part of a group, they can evoke a collector’s sensibility or tell us something about a historical period in a way professional photographs might not. For Lee, collecting found photographs of African-­Americans — a project he called “Fade Resistance” — had an additional and deeply personal meaning. By day, Zun Lee is a doctor in Toronto, Canada. When he’s not working, he’s often unwinding from stress with a camera in hand. As a self-taught photographer, his documentary and street projects have caught the eye of The New York Times, The New Yorker, Magnum, and more. The 8-minute video above by Format’s InFrame is an inspiring look at Lee’s life and work. Who throws away family photos? 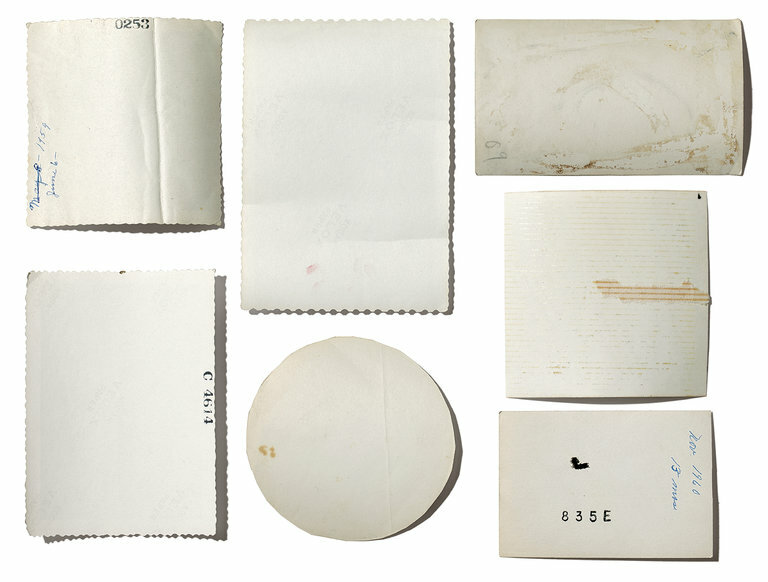 How do faded, blurry squares that chronicled weddings, ballgames and goofy moments at home end up abandoned, tossed to the curb or in boxes bought sight unseen at storage auctions? Zun Lee has been wondering about this ever since he stumbled upon a dozen Polaroids scattered on a Detroit sidewalk. He had gone to Motown as part of his work on “Father Figure,” his book about African-American fatherhood. The sight of those images — children playing in a yard — stopped him. He asked around, but no one knew who was in the pictures. And while someone didn’t want these images, Mr. Lee did: They showed an ordinary beauty. Their fate hinted at hard times. Yet, in a frozen moment, they showed their subjects with love. For his series “Father Figure,” begun in 2011, the photographer Zun Lee created quiet and tender portraits of black fathers with their children: one kisses the tiny hand of his baby while riding the subway; another goofs around at bedtime, his daughter’s feet pressed up against his cheek. The project was, in part, a response to Lee’s own personal history: he grew up, in Frankfurt, Germany, nurtured by African-American military families who were stationed there; in his thirties, he discovered that his biological father was not the Korean dad he’d grown up with but a black man he’d never met. “Father Figure” is an homage to the surrogate black father figures he’d found growing up, and an exploration of alternatives to the stereotype of the black absentee father. Read the entire article and view the photographs here. Through intimate black-and-white frames, the viewer gains access to often-overlooked moments in the lives of African American men whom Lee has worked with since 2011. Lee brings into focus what pervasive father absence stereotypes have distorted – black men who define parental presence on their own terms and whose masculinity is humanized, not viewed with suspicion. Using his struggle with father absence as inspiration, Lee examines a complex subject matter with profound vulnerability, resulting in a richly woven narrative that is deceptively simple yet multidimensional. For Father Figure, Zun Lee used his personal journey of discovery and identity formation to examine manifestations of black fatherhood largely ignored by mainstream media. The book has been shortlisted for the Aperture Foundation PhotoBook Awards and named a winner in the Photo Books category of the 2015 PDN Photo Annual competition. Zun Lee is an award-winning photographer from Toronto, Canada who was named onto PDN’s 30 List in 2014. His visual storytelling has been widely featured in The New York Times and other publications..
Zun Lee, Father Figure: Exploring Alternate Notions of Black Fatherhood is presented in partnership with the LOOK3 Festival of the Photograph and is made possible through the generous support of the Blue Moon Fund, and Hampton Inn and Suites. Join us for an afternoon artist talk and book signing with photographer Zun Lee. Zun will be joining us from Toronto and discuss his series ‘Father Figure’ and sign copies of his newly released book Father Figure – Exploring Alternate Notions of Black Fatherhood (September 19, 2014.) Zun’s book release party at the Bronx Documentary Center was so highly anticipated that crowds lined the street surrounding the building around the block to get in. This afternoon at Snap! Space is not to be missed. 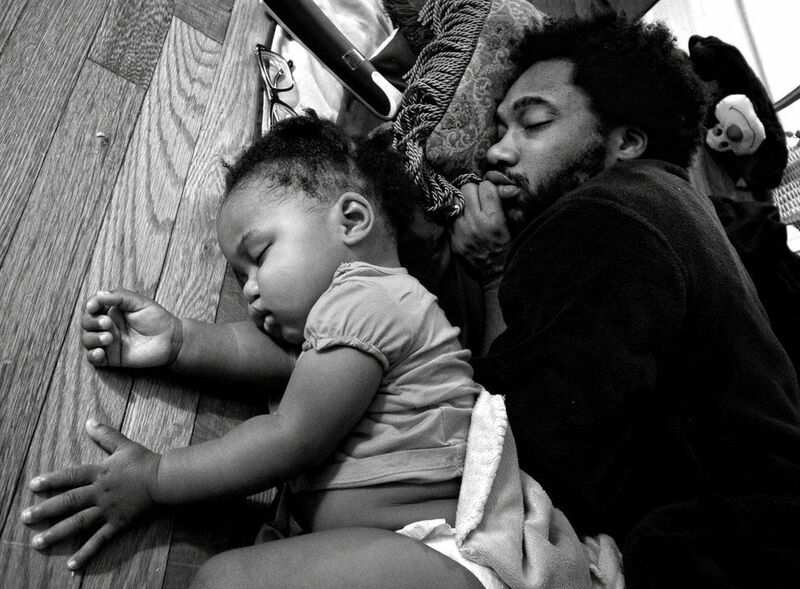 Over the course of three years photographer Zun Lee has masterfully attempted to change the perception of the African American father through the lens of his camera. This collection of photographs in the new book is an immersive approach to his remarkable photo documentary project. “Scenes that can stand on their own and humanize the black experience without demanding perfection or respectability,” says Lee were filmed with so much care—vivid images of loving parental relationships that are able to engross any spectator into a family story that is tough to believe. An added revelation: the photographer himself grew up feeling a sense of loss due to his own father’s choice to abandon his family.